The Huffington Post article, “America’s Disastrous History of Pipeline Accidents Shows Why the Keystone Vote Matters” highlighted the pipeline industry’s incident record and stated that on average one significant pipeline incident occurs in the country every 30 hours. The key question to ask is – what is the pipeline industry doing to reduce the number of incidents and lower the risk of harm to the environment and surrounding communities where they operate. After the 2010 San Bruno pipeline explosion in California and per National Transportation Safety Board’s recommendations, midstream industry leaders in coordination with the American Petroleum Institute (API) gathered and collaborated to develop a recommended practice (RP) for the industry. Known as, API RP 1173 Pipeline Safety Management System (PSMS), it provides guidance for developing and maintaining a comprehensive management system to improve operational safety and decrease the rate of releases and incidents. The PSMS framework defined in API 1173 shares common principles with safety management systems found in other industries such as nuclear, aviation, offshore oil and gas, and refinery and chemical plants. These safety management programs have demonstrated reductions in operational risk, reduced occurrences of incidents, and provided a platform for continuous improvement to achieve operational excellence. Large, integrated energy companies already have such overarching management systems in place that cover pipeline safety, such as an operations management system. However, the standards in API RP 1173 will likely require effort and executive commitment to enhance existing operations management/safety management system to fully meet the API RP 1173 requirements. While many midstream companies have various programs that address risk management, asset integrity and management of change, a safety management system will provide an integrated management system that cuts through organizational and functional silos to achieve greater transparency and awareness which leads to better decision making and safer operations. Recognizing the significance of leadership accountability and communications to achieve a sustainable and meaningful operations/safety management system, the API RP 1173 devotes significant content to framing the role leadership at all levels plays in ensuring safe and reliable operations. While not mandatory to adopt API RP 1173, an operator risks being found negligent for not adopting and following a PSMS consistent with RP 1173 in the event of an incident as it will be considered an industry standard for which pipeline operators to follow. This has been a guest contribution by Katherine Molly. 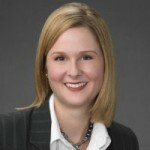 Katherine, Principal of Northhighland, works with executive management and project teams to improve organization processes for safety and reliability, reduce capital program and business process risks, and resolve program/ project crisis and disputes in the energy industries. Supporting owners, contractors, engineers, their legal counsel and sureties, she has led assessment and improvement organization and project programs, enhanced project execution, coalesced conflicting parties, and participated in the settlement/litigation of business and project disputes ranging from $1 million to multi-billion dollars.